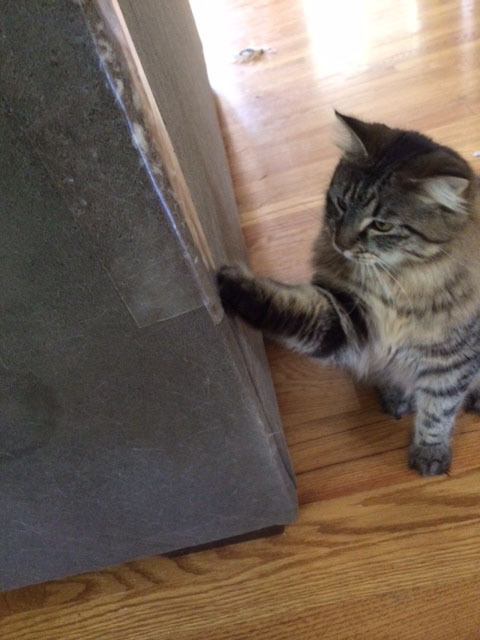 All of us have had a feline friend who for whatever reason preferred the corner of the sofa to his fancy expensive scratching post. 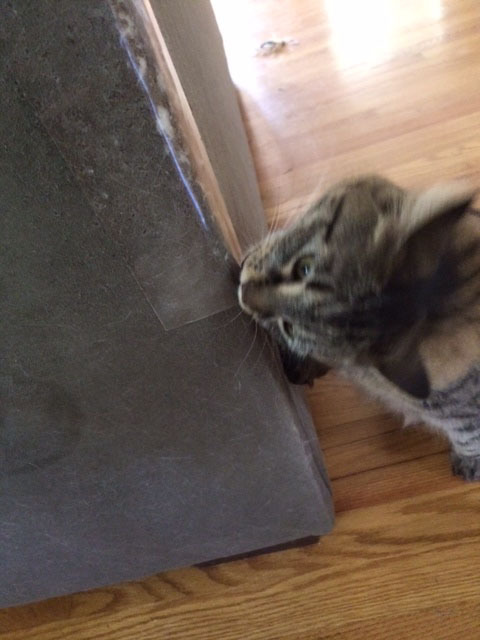 My general approach has been behavior modification; making the universal “NO” sound (that “ANHK!” noise–you know, you make it too), followed by saying “No!” and then gently removing the offender’s claws from the sofa and moving him or her to the nearest scratching post. It works if you’re there to go through the process, but if you aren’t on furniture duty, relapses are almost guaranteed. 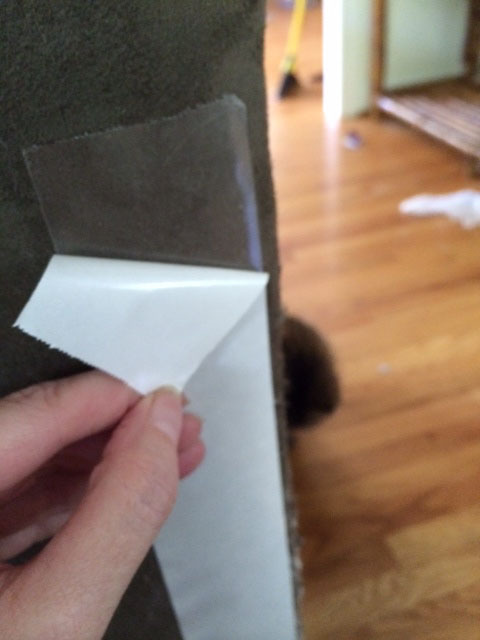 Even though my sofa corners are past the point of saving, I wanted to see if the common products out there could help in the event I ever got a new sofa. 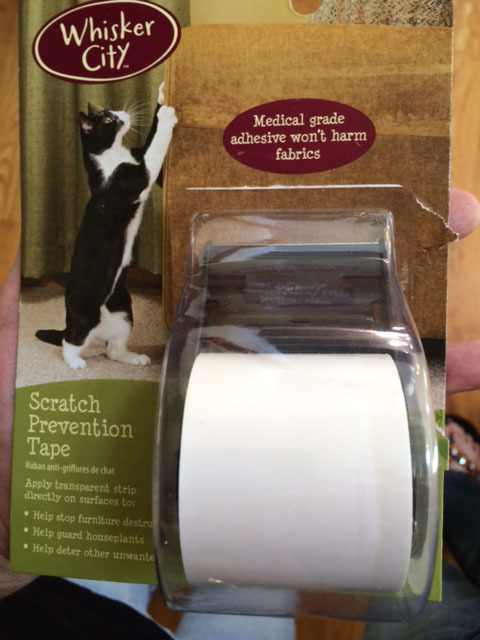 So for the first test in the series, I grabbed a roll of Scratch Prevention Tape by Whisker City at my local Petsmart for $9.59. The tape is easy to apply. 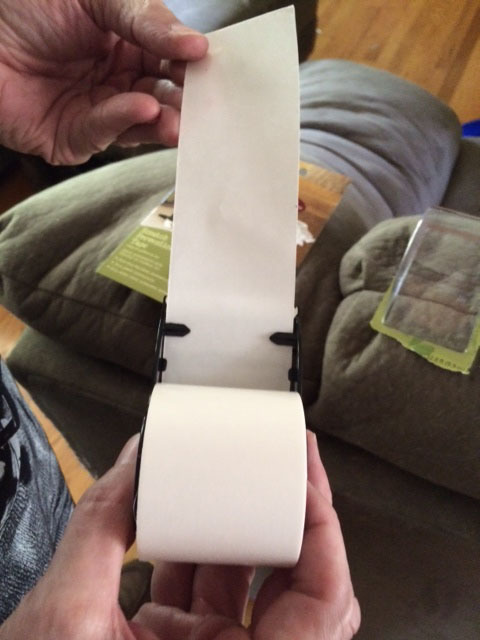 Just pull out the length you want and tear it off the dispenser, then press the exposed side to your furniture. It sticks well but definitely does not feel like it’s going to be damaging or permanent, and you can remove and reposition it easily. The slightly trickier part is removing the paper backing on the exposed side of the tape. It takes a little patience and fingernails definitely help, but with care the backing can be separated from the tape and then pulled away. One note of caution: if you apply the tape wrapped around the corner, the paper backing can tear a bit when you remove it. Pull slowly! I’ll continue to monitor and update this post to let you know how often it needs to be reapplied. The package recommends weekly, but I’m hoping to stretch it out at least a little longer, even in my dusty, cat-hair-filled house. 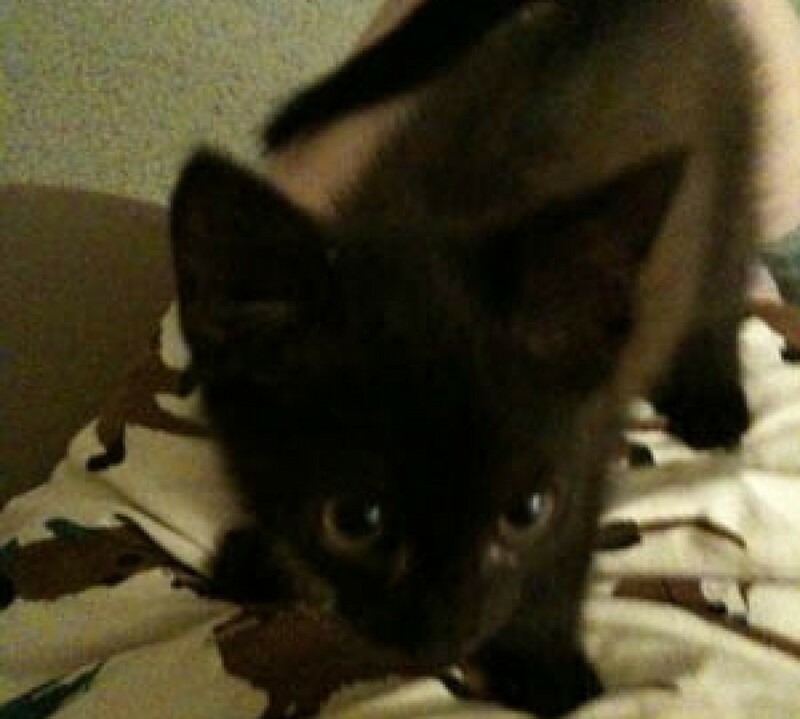 rating: Six paws up. It works with my cats, but if you need a lot and have to reapply it frequently, it could become pricey.